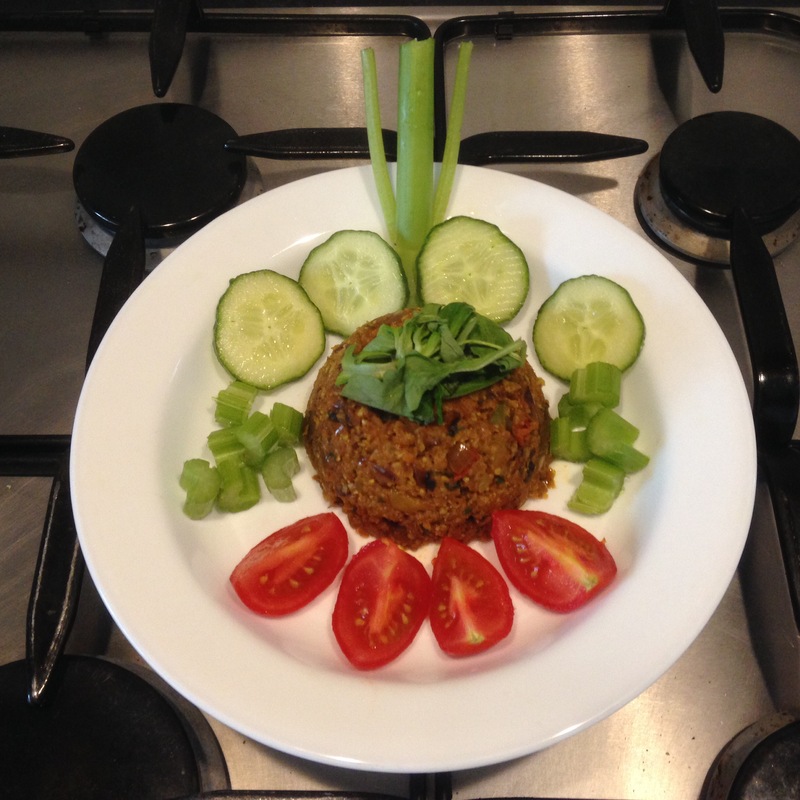 This is a vegetarian equivalent of keema (spiced mince lamb). It’s invariably cooked the same was as the lamb but for less time. I minced half a cauliflower in a food processor to get a fine mince consistency. I heated a tbsp of Ghee with a diced onion, 3 cloves garlic and 1/3 inch ginger and cooked til brown. Added tsp salt, two of Garam masala and a tsp turmeric. Then added the cauliflower and cooked for 10-15 minutes in sealed pan. I added a chopped tomato and tsp purée about half way through. If it gets too dry or sticks to bottom of pan add some water to moisten. 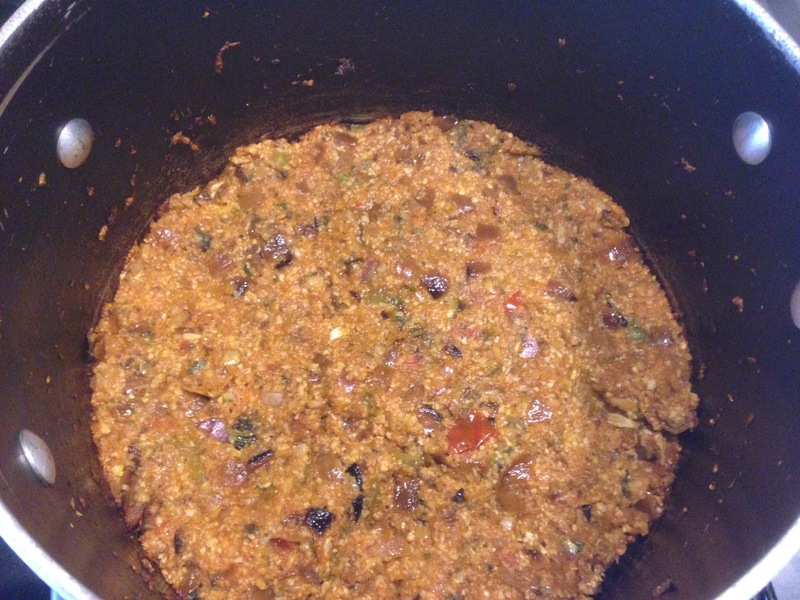 Serve it with salad, yoghurt and chappati or rice…. Njoy. Ps if you want to add some heat add Chillis!